Nundroo is located 78 kilometres from Penong to the east, and 51 kilometres from Yalata to the West. In the 1860s the Nundroo area was settled by pioneering sheep graziers. 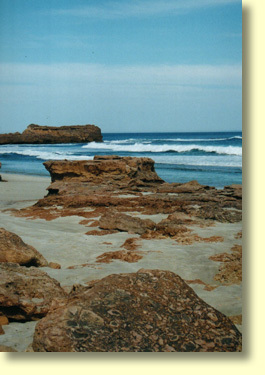 By the 1870s Nundroo station itself had been incorporated into the much larger Yalata and Fowler's Bay Sheep Runs which ran for several hundred kilometres in an East West direction along the Far West South Australian Coastline. In those days Aboriginal Sheperds were frequently employed to tend the sheep stock. By the 1880s these vast sheep runs were broken up as the original pastoral land leases expired. The area was then opened up to more intensive farming practices including some wheat farming. Today the area still continues with its tradition of sheep grazing and grain growing even though the area is rather marginal for this purpose. For the traveler crossing the Nullarbor, Nundroo is very much a welcome rest stop. Nundroo Hotel Motel and the attached kiosk service the passing tourist trade. Opening hours are generally from 7-30 am till late with takeaway foods, fuels and autogas being sold. Nundroo's Hotel Motel comes complete with a swimming pool, 17 air-conditioned rooms, Backpacker accommodation and 8 camp sites available for hire. The Roadhouse has EFTPOS and ATM facilities and accepts AMEX, Visa, Mastercard and Diner's Club cards. Within the Roadhouse complex is the Hotel which is open from 11-00 am to 10-00 pm. Davis Motors also operates from Nundroo and carries out mechanical repairs on any vehicle ranging from Big Mack Trucks down to your more pedestrian Volkswagen or Motor Bike. Davis Motors also operates the local RAA 24 hour emergency road, car repair and towing service and is able to perform windscreen repairs and tyre replacements. It might also be worthwhile checking on the petrol prices. Davis Motors can be contacted on (08) 8625 6119. On site accommodation is also available next to Davis motors and bookings can be made for a number of holiday units located at nearby Fowler's Bay. Prices valid as at October 2012. For further information regarding accommodation and things to around Nundroo telephone (08) 8625 6120 or email Nundroo Motel at nundroosa@bigpond.com. Alternatively visit the Nundroo Motel Hotel website for a full description of the area's attractions. Essentially Nundroo is very much an overnight rest stop for travellers and there is little to do within the immediate area that would be of interest to the traveler. might be to spend a night or two in the Fowler's Bay area. Fowler's Bay can be reached by taking the Coorabie turn off a few kilometres east of Nundroo - just look for the Pintumba silos on the south side of the road. These silos are easily visible from the main highway. Within Fowler's Bay there's truly excellent fishing to be had from the local jetty, local beaches, rocks, and from boats on the open waters of the bay. When fishing from a boat in these open waters ask for local advice. Occasionally Southern Right Whales can also be seen around the Fowler's Bay area between the months of June to October. If you're really serious about seeing whales however, perhaps one of the best place to see them is at the Head of the Bight. 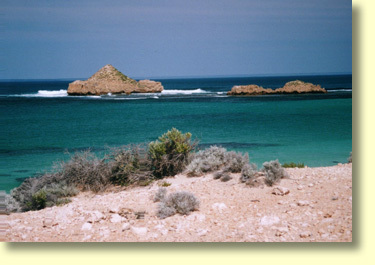 Other points of interest within the Fowler's Bay area include the local sand dunes, "Mexican Hat", Cheetamah Beach, Wandilla Beach and Scott's Beach. When travelling to these areas it's advisable to ask locals for advice on the road conditions and directions to those sites. Bush camping is permissible at both Mexican Hat and Scott's Beach. 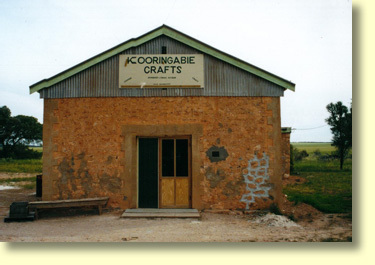 Local advice can be obtained from the Nundroo Roadhouse, Fowler's Bay Caravan Park, and when open, the Kooringabie craft centre which is located a couple of kilometres west of Nundroo.